Natural stone paving is wondrous. I really mean that. There is nothing as durable, aesthetically pleasing, potentially creative or easy to maintain as natural stone. Quite simply it is the only grass alternative worth considering. After all, nothing manmade comes close. 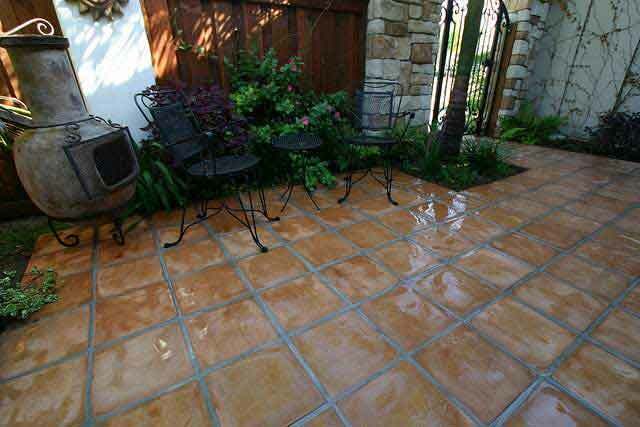 Man made concrete patio tiles, whilst inexpensive are no match for naturally formed limestone, sandstone and flamed granite provided by professional landscaping companies such as R F Landscaping Products. I single out R F Landscaping Products as the colour combinations and patinas they can provide their selection of natural stone paving in, as well as their ready-to-create stone circle and stone steps kits aren’t available via all natural stone gardening suppliers. Hence R F Landscaping is a great source of information and inspiration, as well as natural stone paving supplies. What to Do with Natural Stone Paving though? That’s the question. Opting for paving, after all does not have to mean foregoing grass, sacrificing gravel or giving up on using a garden space as a creative and warm outdoor retreat. The list of how natural stone paving can be used and to what effect is limited almost only to imagination, the available space and, of course, budget. Take a look, for example, at the Paving trends currently featured on Houzz. Whilst the many paving ideas and options showcased on Houzz have been created using cheap manmade concrete paving tiles any of the designs and looks featured could be created using natural stone paving to create an instantly far more sophisticated and luxury front or rear garden space or feature. As the article suggests ‘you’ll find that less concrete equals more style’ because concrete is not an ideal or especially attractive material. Substitute concrete for natural stone though, and the possibilities become endless. What is more, using natural stone paving to achieve the effects shown via the article is also a cost effective means of introducing natural stone paving to your outdoor space without having to shell out on wholly paving a large outside space – hence, it can provide the perfect balance between getting a highly sophisticated and classy look whilst also working within a budget. An equally fantastic place to turn for inspiration is of course the aptly named Paving Expert website. Searching through the archives of the Paving Expert website, I recently discovered a particularly inspiring article under their ‘News on the Street’ section discussing the 2008 Tatton Flower Show. The article (which can be directly accessed via clicking on the link to the Paving Expert website above) covers a wealth of paving approaches, from ways to incorporate natural pebbles and stones to create wonderfully characterful yet professional stone walkways and paths to how crazy paving can be laid using broken natural stone paving tiles to provide equally stunning results. The article also covers a multitude of more traditional and conservative paving techniques and is worth a look just for the gorgeous selection of photographs showcasing the 2008 Tatton Flower Show gardens and how these spaces incorporate paving to create award winning gardens. Lastly, and for even more tips, tricks and ideas as to what is trending currently when it comes to all things gardens,the Royal Horticultural Society have rather handily created a 2015 Garden Trends PDF which they have made freely available for everyone. The article is written by ‘world renowned Garden Designer, RHS Judge and leading gardening tutor Andrew Fisher Tomlin’ and covers all aspects of gardens from what to plant to tree combinations set to trend in 2015. As such, the article also gives some suggestions and tips as to paving and what paving is looking to be popular in summer 2015.